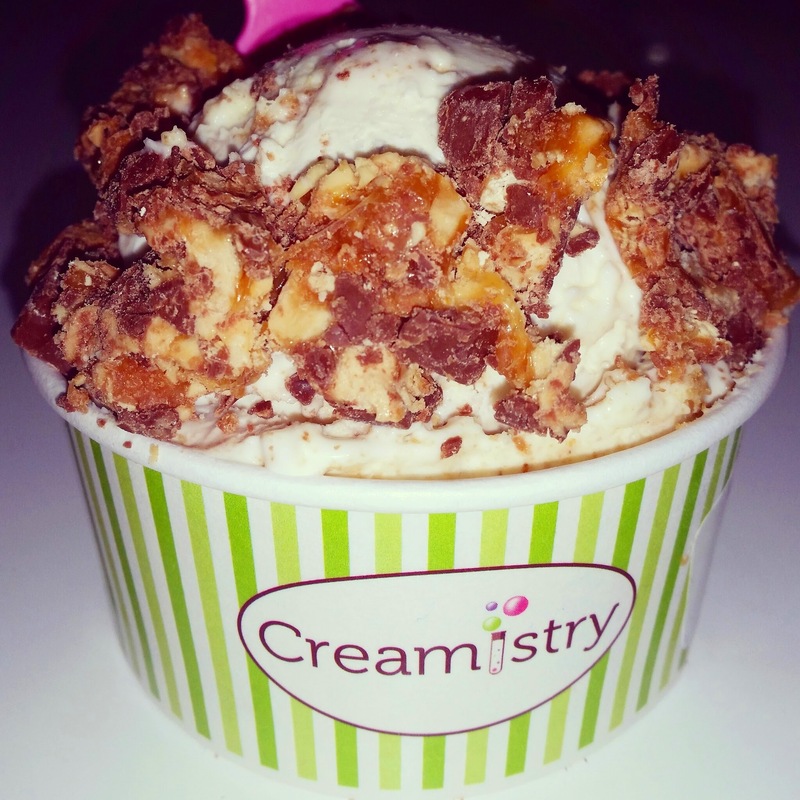 Have you been in to Creamistry yet? Why is it so special…isn’t it just another ice cream place you ask….Well I am here to tell you this place is very unique! 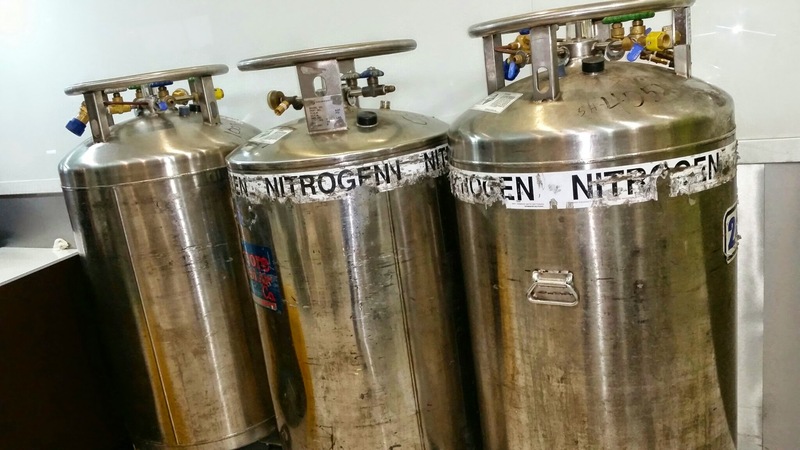 Creamistry makes their ice cream with nitrogen! When I first heard this I was quite inquisitive and did not understand what the point of that is. 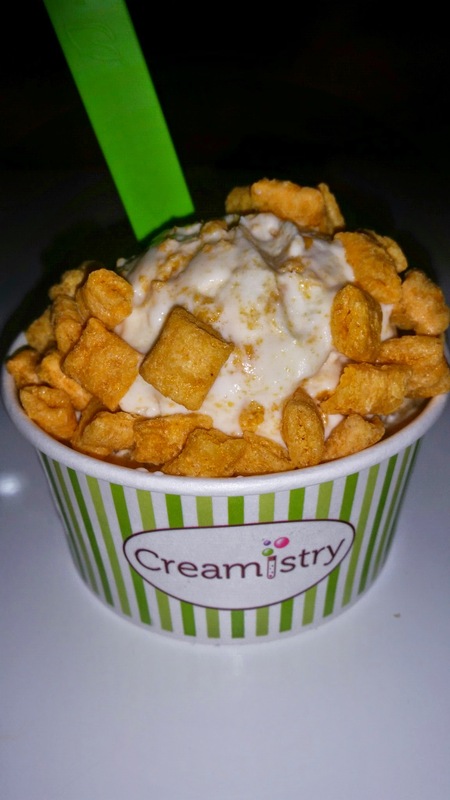 After visiting Creamistry on my own I became well aware of the creamy goodness of this icy flavored treat! Why use nitrogen? I questioned that myself until I tried this ice cream and the texture is quite different than your standard scoop of ice cream. First off, it seems much thicker to me, much more smooth and creamy in consistency, and my personal favorite feature is that it seems to take forever to melt! Normally when I get an ice cream cone, I am eating it as fast as I can because of its’ melting properties and let’s face it I am usually one that enjoys ice cream when it is hot outside, so that is a double whammy in terms of melting time! Upon entering Creamistry, you can see the “Creamologists” hard at work perfecting each individual ice cream purchase for individual customers as they arrive and order! 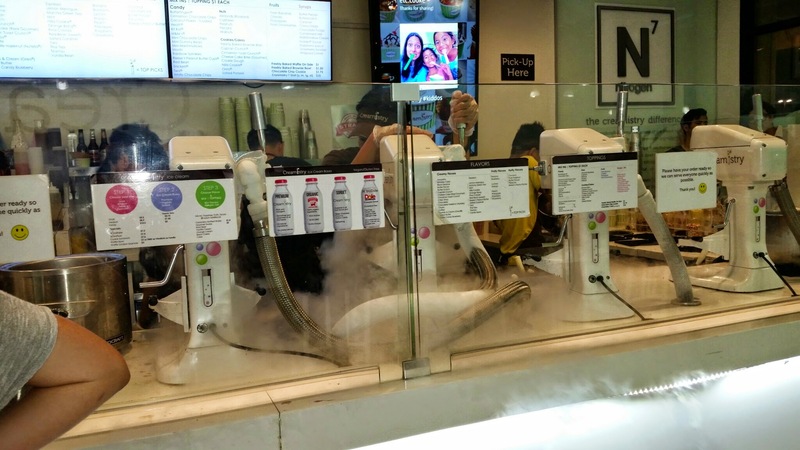 As you enter Creamistry, there is condensation that looks like smoke everywhere that quickly evaporates as more is produced. I was pretty fascinated with this production and I was so happy to hear that they use all natural and organic, high quality premium ingredients! With over 40 different ice cream flavors & 50 mix-ins/toppings, the possibilities of flavors are endless! On our visit to Creamistry, we tried 3 different blended flavors, one of them being the most popular flavor sold in the store which was called, “Cookie Butter.”The cookie bitter was an ice cream flavor that was blended with marshmallow cream and was very rich in flavor. The second flavor we tried was the Captain Crunch Ice Cream blended in with Captain Crunch cereal. It was very sweet and my husband is obsessed with Captain Crunch, so he devoured it quickly! The third flavor, which was my personal favorite was a Salted Caramel ice cream topped with snickers and cheesecake…quite decadent, smooth, and creamy…and yes sweet of course! Please put your preference for which store you would like a gift card for in your comment on this post when entering my contest on Rafflecopter so I know which one to give you. 🙂 Good luck! I loved Cookies and Cream!! Another flavor I must try! I have not been there, but I’d love to try it! The Chocolate & Hazelnut flavor in particular sounds great. That does sound like a delicious combination! Ice cream is my favorite treat – and this one made with nitrogen sounds amazing! I loved the fact that it took longer to melt! I had never heard of it before I tried it either, but it was definitely more smooth and creamy! I want Ice cream now, this looks so delicous! Thank you for the comment. Hope you got some ice cream! I love the green tea flavor. I prefer the Irvine store. I had never heard of this place until now but I’m sure it is delicious. You will love it Denise:) Good luck in my contest! I had never heard of this before. Great concept and looks delicious! I love the name…it’s very catchy. Would love to try some too! 🙂 I agree with you! 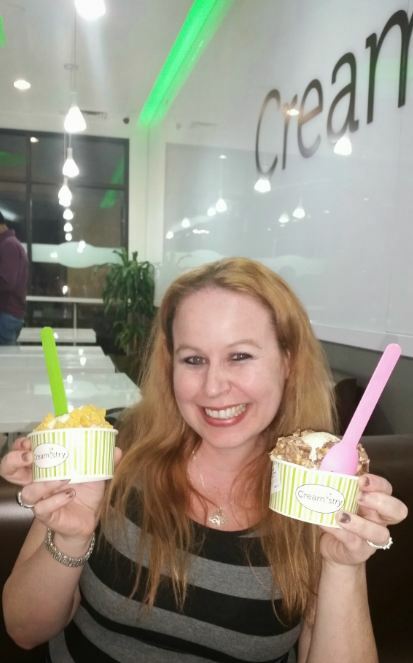 I hope you get to check out Creamistry soon! We have a store like this in Albuquerque, NM but I have not been there yet. My husband inspected them when they first open and said it is a cool place. This place certainly was cool. I would love to hear more about the ice cream shop in Albuquerque that you say is similar! I went to a place like this in Palm Springs. This one is much closer. The kids loved it. Very cool! I did not know that they had a similar concept in Palm Springs! Awesome! Thanks for sharing Suzie!